Glad to see the Wii slash $50 off its retail price? Don't get used to it - Nintendo boss Reggie Fils-Aime says that it won't be happening again. As we head into Holiday '09 (the preface to the crazier Not-Holiday '10) all three major consoles have seen price cuts to boost flagging sales in a recession. The Xbox 360 and PS3 are sitting pretty at $299, while the Wii is now at $200 - the first price cut the console has received since its debut in 2006. Speaking with CNBC, Nintendo of America president Reggie Fils-Aime said that the company was feeling good about the upcoming holiday season, pointing to the success of its DSi handheld. "We say that based on the experience of launching the Nintendo DSi this past April, we've already sold 2.2 million units, so we're feeling very good about the holiday," said Fils-Aime. "We define value as what you get for what you pay. With Wii - with the USD 50 price drop - you're getting a lot more value." The price cut has been certainly helping reinvigorate the Wii, reports GI.biz, boosting console sales by 10%. Would we maybe see another price cut in the future, given that Nintendo - as the current leader in the console war - has considerably further to fall from grace? "Absolutely not," says Fils-Aime. "We lasted 34 months without having to cut the price. We were able to reach over 20 million consumers here in the US at USD 249. The next group of consumers we will get at this USD 199 price point, and we've already seen very strong results after just one week on the marketplace." 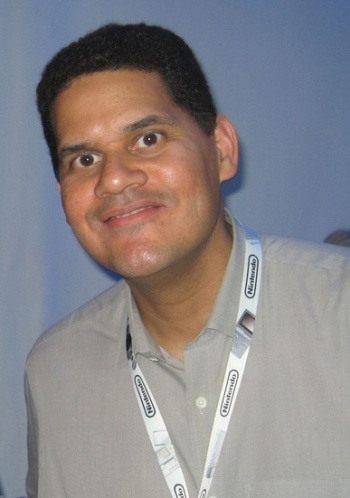 Instead, says Reggie, Nintendo is banking on "innovation" to carry it through this holiday season. Innovation such as a device that checks your pulse or something, apparently.